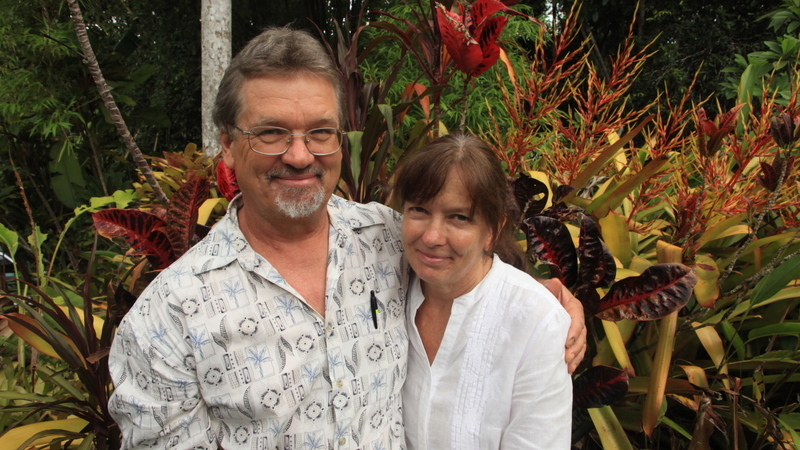 We, Alan and Susan Carle commenced our project more than 35 years ago, first a subsistence farm, and more recently (1990) as a private ethno-botanical gardens. We travel the tropical regions of the world and specialise in plants that indigenous rainforest cultures have and still use for their foods, spices, shelter, medicine, cosmetics, fibres, oils, dyes - in fact for all their everyday needs. We emphasize the link between plants and peoples and demonstrate it with some of the most unusual and interesting tastes and sights imaginable. We aim to educate our visitors to some real values of tropical forests and we aim to help save some of those forests for their peoples.